Analysis: Akins had a relatively lackluster year as a pass catcher after joining the Texans as a third-round pick in last year's draft. He operated as a No. 3 tight end behind Ryan Griffin and Jordan Thomas for much of the year, which limited his snaps. He could see an uptick in play time in 2019 if he's able to round into form and build on the potential that made him a Day 2 selection in the draft. Analysis: Akins, who led Houston's tight ends in receiving Sunday, received more snaps than fellow rookie Jordan Thomas, something that hadn't happened since Week 4. 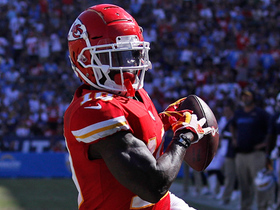 The position group, which has been largely ignored all season, may take on a higher profile in the coming weeks after Demaryius Thomas suffered a season-ending Achilles injury. 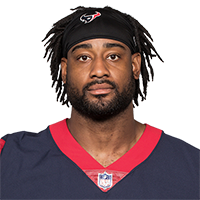 Analysis: Akins' ability to play off the line of scrimmage could come in handy for the Texans, who are dealing with injuries to Keke Coutee (hamstring) and DeAndre Carter (concussion) as they prepare for Week 15 against the Jets on Saturday. 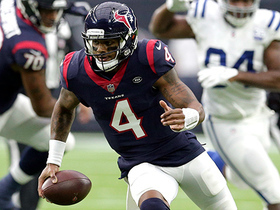 Analysis: Quarterback Deshaun Watson has increased the use of the tight ends in recent weeks and targeted the three-man group of Akins, Ryan Griffin and Jordan Thomas 11 times in the loss. Houston is dealing with injuries at wideout, which could lead to similar targeting Week 15 against the Jets. Of the three, Griffin leads in targets while Thomas is the touchdown leader. 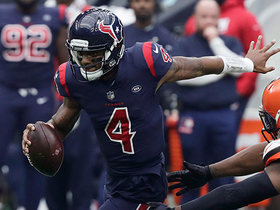 Houston Texans quarterback Deshaun Watson evades three would-be sacks on an epic third-down conversion. 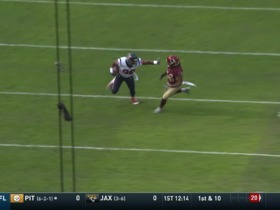 Houston Texans tight end Jordan Akins catches a dart from quarterback Deshaun Watson for 27 yards. 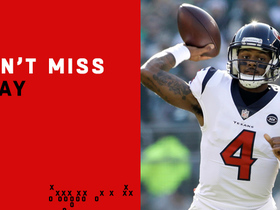 Houston Texans quarterback Deshaun Watson bobs and weaves by pressure to find Jordan Akins for 13 yards. 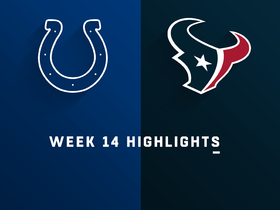 Houston Texans quarterback Deshaun Watson pass to tight end Jordan Akins for 28 yards. 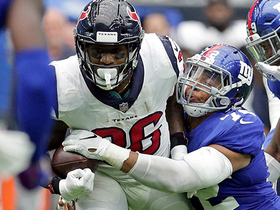 New York Giants defensive end Kerry Wynn comes from behind and forces the fumble on Houston Texans running back Lamar Miller, Giants recover. Week 1 of the 2018 NFL season means more one-handed grabs, diving snags and fantastic catches. Here is a look at the best of them.